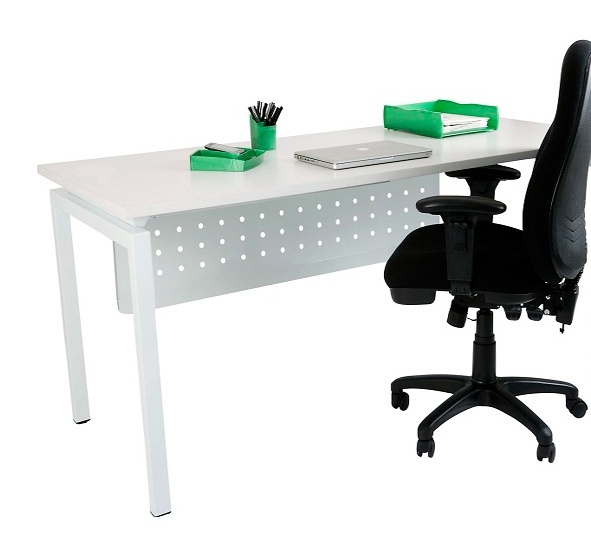 This quality commercial rated set with 25mm thick tops and quality metal feature end leg is a winner in a modern corporate office or equally for home office use. 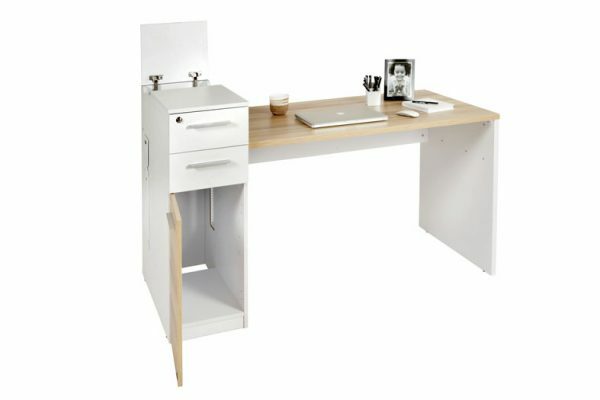 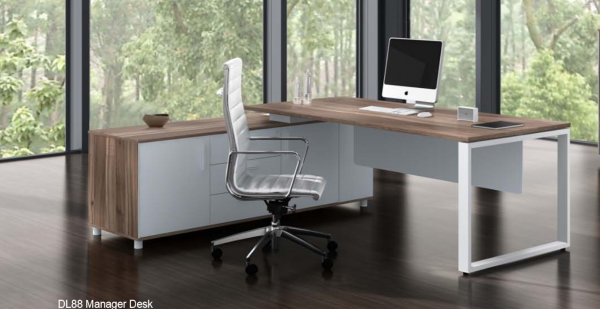 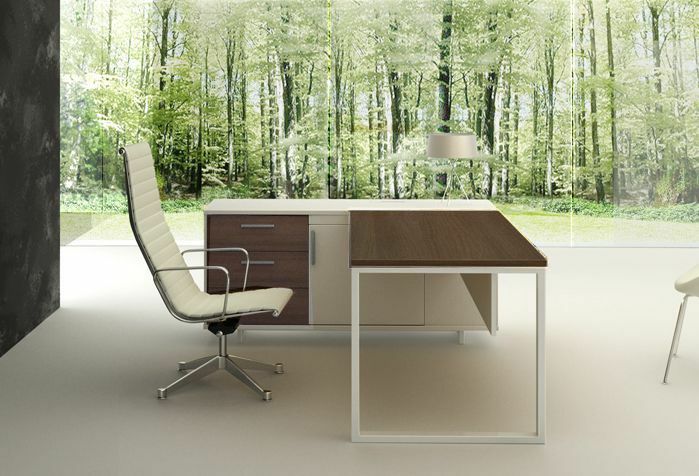 This stunning designer two tone white frame Zen Series desk with woodgrain top and drawers set makes a complete office set up. 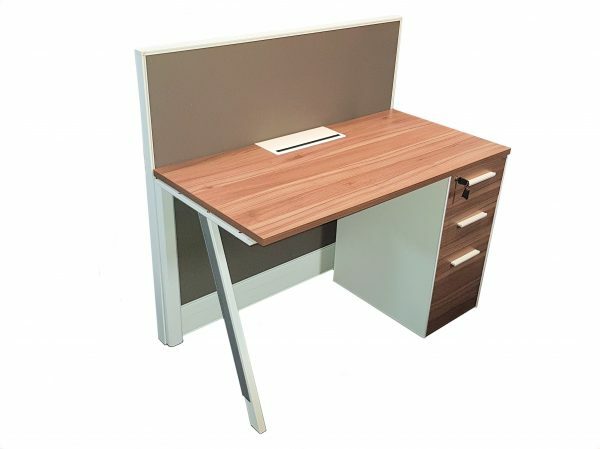 Complete with generous 1600 L X 520 D extra deep side buffet with 3 inset drawers and storage as shown. 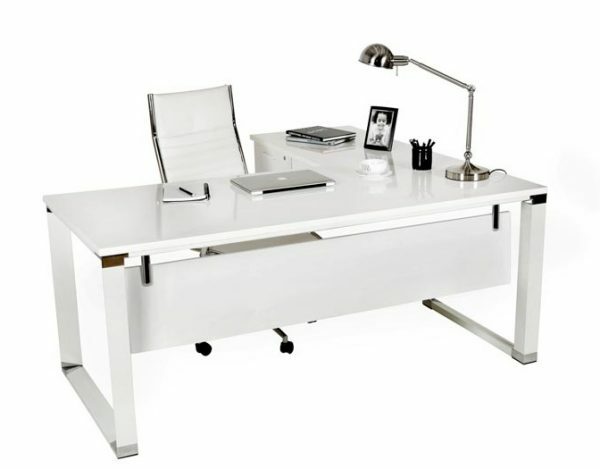 Designer desk top size 1280 L X 800 D (overall dimension 1800 L) with front modesty panel and designer sturdy end square leg.